Raj: [to Randheer Bakshi] I'm the one who's been betrayed. So I'll do what needs to be done. Dilwale is predictable and boring with nothing new to offer !!!! Some of the Bollywood potboilers are meant to entertain with mindless screenplay and no-sense comedy. Rohit Shetty has mastered the art of this kind of cinema. Only this time , he goes one step ahead and gives you a senseless caper. From the masala entertainments like Golmaal , Singham series, Bol Bachan and Chennai express, Rohit Shetty gives yet another spineless film which is full on masala entertainment but easily forgettable once you are out of theater. The only silver lining is the superb acting by Shah Rukh Khan and Kajol. The movie begins with forced comic scenes and unnecessary situations especially from Varun Dhawan and Johnny Lever which you are sure going to hate. It is only when Kajol enters the scene, you will heave a sigh of relief. 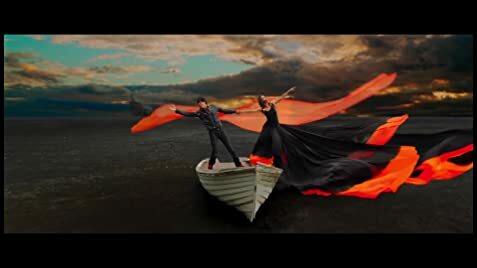 The sparkling chemistry between Shah Rukh Khan and Kajol saves the day and you wish the second half might be interesting as their jodi. Unfortunately, the second half drags and the climax becomes typical bollywood melodrama with hero delivering high-content dialogues and blowing few punches. Editing could have been better and songs becomes hindrance to the pace. Art direction and cinematography is outstanding. Shah Rukh Khan is the scene stealer despite so many shortcomings in the movie. The actor is brilliant but is saddened by weak screenplay. Kajol lends a good support and looks gorgeous. Varun Dhawan antics will remind you Salman Khan. Probably he should define his unique style. Kirti Sanon is strictly okay. Johnny Lever irritates. Sanjay Mishra disappoints. Mukesh Rishi is good. Boman Irani is brilliant. 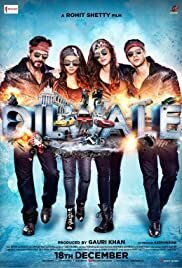 Overall , Dilwale is predictable and boring with nothing new to offer.